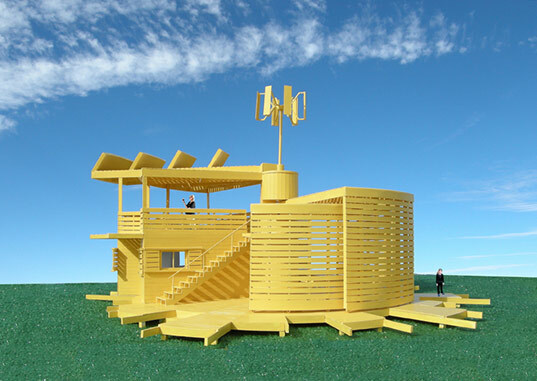 Sustainable design superstar Michael Jantzen thrills us again with the oh-so-adaptable R-House. Intended as a vacation home, it is constructed nearly entirely from Accoya, a new ‘species’ of sustainably-sourced wood designed for ultra-high performance and class 1 durability. Rotating walls slide around the exterior of the structure to keep sun and wind coming and going in all the right places. The house has both passive and prefab qualities and is built to be configured and assembled on-site. Photovoltaic cells and wind turbines will provide the house with all necessary energy, keeping it entirely off the power grid, and rainwater can be collected for washing and flushing. Michael Jantzen‘s R-house will also integrate a variety of energy-saving mechanisms that are yet to be determined. The toilet will either be a composting version or electric incinerator, domestic water will be heated by the sun, propane, or hydrogen gas, all depending on the existing site amenities and owner’s preference. An enclosed room is located at the core of the structure surrounded by 4 large movable screens, arrangeable in a variety of configurations depending on weather and use. The size of the actual structure can vary as well by adding or removing screen segments around the outside. 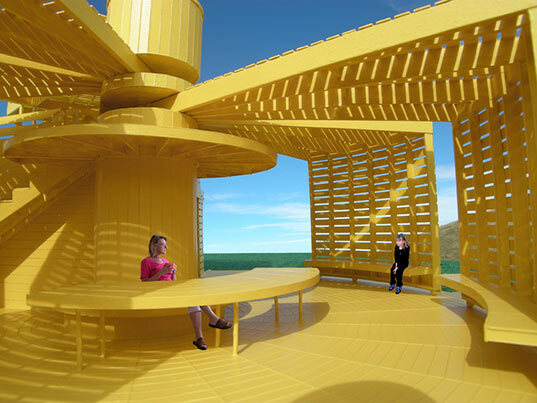 Sustainable design superstar Michael Jantzen thrills us again with the oh-so-adaptable R-House. Intended as a vacation home, it is constructed nearly entirely from Accoya, a new 'species' of sustainably-sourced wood designed for ultra-high performance and class 1 durability. Rotating walls slide around the exterior of the structure to keep sun and wind coming and going in all the right places. The house has both passive and prefab qualities and is built to be configured and assembled on-site. Photovoltaic cells and wind turbines will provide the house with all necessary energy, keeping it entirely off the power grid, and rainwater can be collected for washing and flushing.